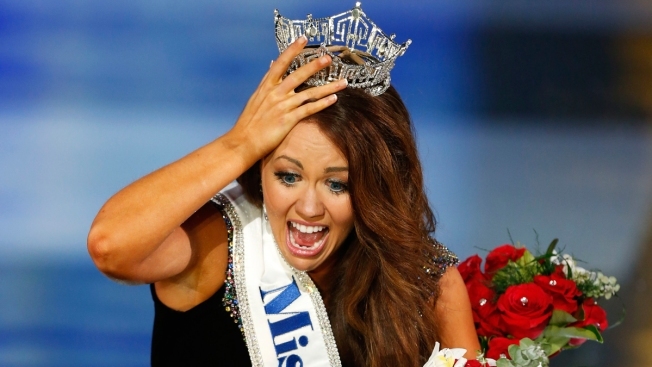 Miss North Dakota Cara Mund reacts after being named Miss America during Miss America 2018 pageant, Sunday, Sept. 10, 2017, in Atlantic City, N.J.
Mund said she's been left out of interviews, not invited to meetings and called the wrong name. When she obliquely hinted at trouble with pageant leadership in an interview earlier this month with The Press of Atlantic City, Mund said she was swiftly punished by having her televised farewell speech cut to 30 seconds, and was told a dress she had been approved to wear in the traditional "show us your shoes" parade cannot be worn. There was no immediate response from The Miss America Organization or from Carlson and CEO Regina Hopper, who were singled out in Mund's letter.